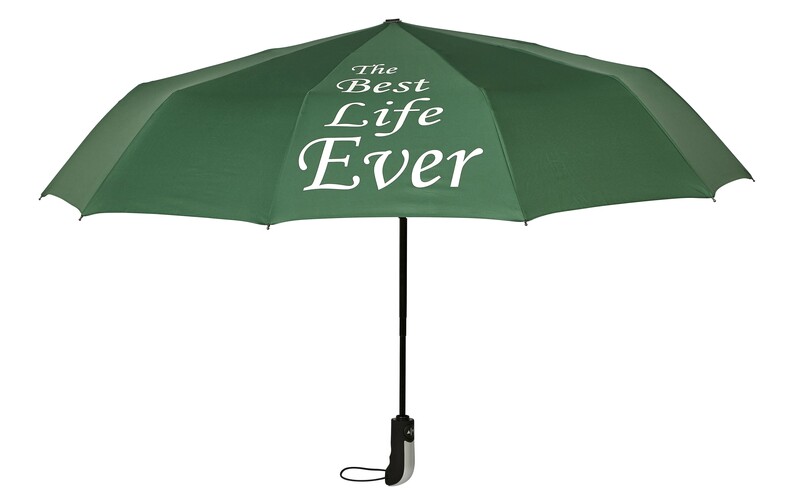 Travel umbrella with a convenient, single press button enables automatic open and close. Umbrella offers built-in UV protection. Dimensions: 1lb in weight and 13" in length when closed.